The banning of the importing of cloth into England during the reign of King Edward III, around 1337, was responsible for the growth of the cloth industry in the Weald of Kent. Flemish cloth workers, mainly from the Low Countries, arrived in England and rapidly established the broadcloth industry at Cranbrook and the nearby parishes. 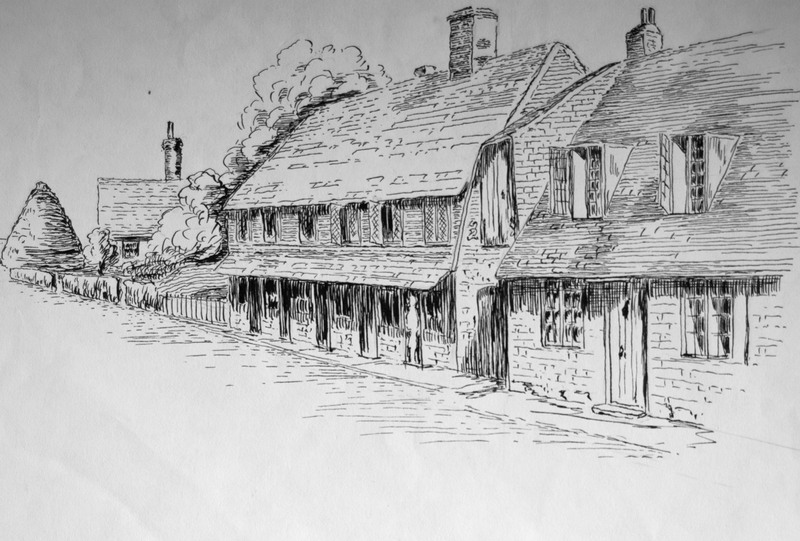 Thus began a time of prosperity for Goudhurst, which was fortunate to have nearby some of the natural resources needed to aid the cloth making industry, e.g. water to drive the fulling mills and fullers earth whose absorbent quality was used with the water power to cleanse the wool for weaving, a process which also removed most of the wool’s natural grease. At one time fulling mills existed at Pattenden, Hope Mill, Broadford and Twyssenden. This “cottage” industry involved all manner of people, such as the women who worked part-time spinning the wool at home (hence the term spinster), the weavers themselves, the shearers who dealt with the finished product and the Clothiers, whose business it ultimately all was. The weavers, who worked from home, owned their own looms and may well have done work for more than one Clothier at a time. The Weavers’ Cottages in Church Road, with their long narrow roof spaces to hold the looms, are a reminder of these past inhabitants. 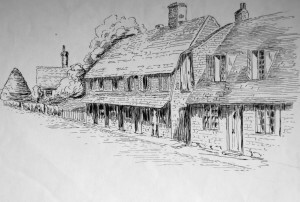 The Clothiers would have lived in larger houses as befitted their affluence, such as the present day Church House at the top of the High Street, opposite the Star and Eagle. The industry reached its height of prosperity during the 16th century and continued into the 18th century albeit on a smaller scale. In 1725 Robert Tate is recorded as having ten broadlooms in production and there were at least forty others still working in Goudhurst, including, or possibly as well as, Henry Tickner who had four narrow looms with which to make worsted and stocking yarn.